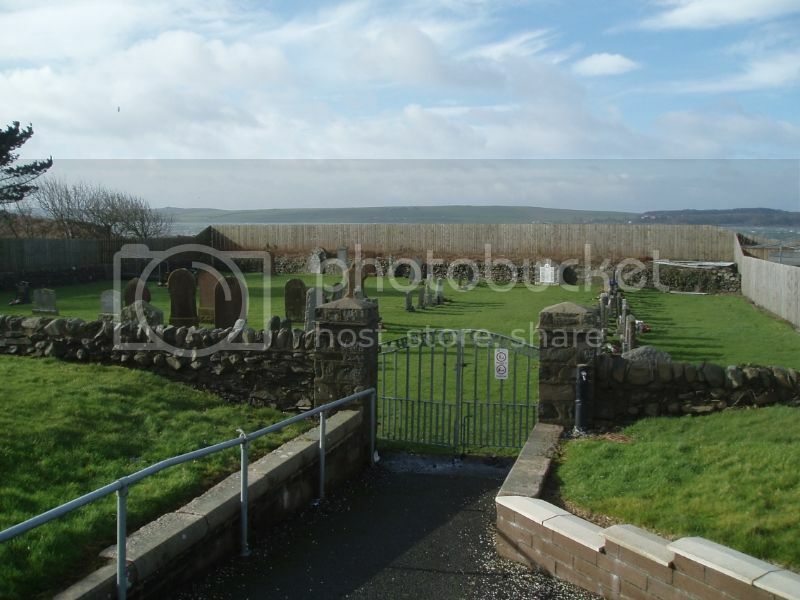 The Graveyard is at the extreme north of the village on the seaward side of the A77 with car parking at the picnic site nearby. 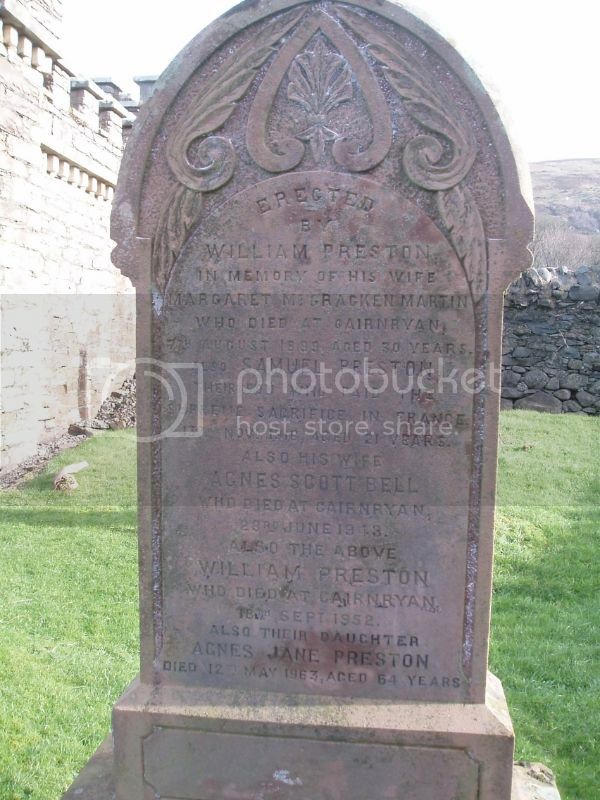 Additional information: Son of Thomas Parr Ion and Jessie McGowan Ion, of Stronord, Palnure, Newton Stewart; husband of Agnes Ion, of The Police Station, Cairnryan, Stranraer, Wigtownshire. 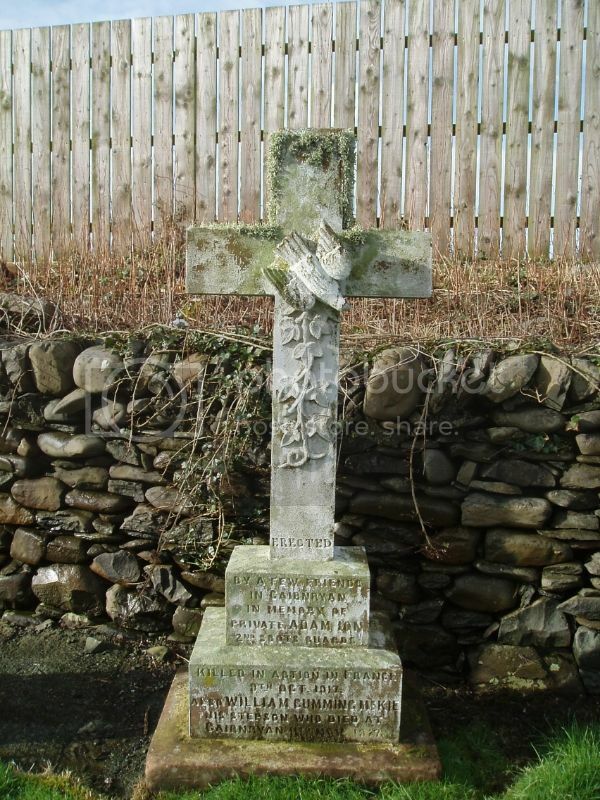 Wigtownshire Free Press 25 October 1917 reported: Last week information was received in Newton Stewart that Adam Ion, Scots Guards, son of Mr T Ion, gamekeeper, Stronord, who, before joining up, was a member of Wigtownshire Constabulary, had been killed in action. 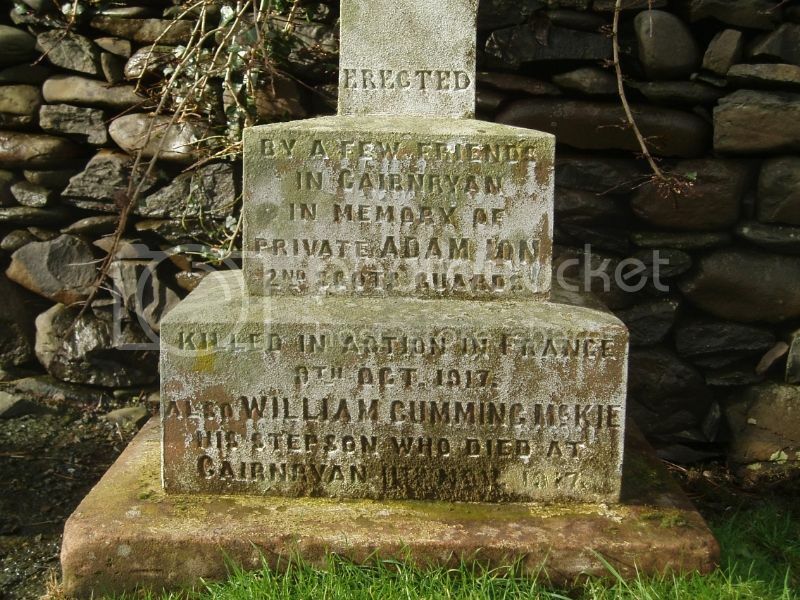 He was for some time stationed at Cairnryan, and had been in the Army prior to the war, but has completed his time in the colours. Regiment/Service: Royal Fusiliers 24th Bn. Wigtownshire Free Press, 21 December 1916 reported: Mr William Preston, Cairnryan, has been informed by the authorities that his son, Pte Samuel Preston, Royal Fusiliers, has been missing since 13th ult. Pte Preston is 21 years of age. Previous to enlisting in the Sportsmans Battalion of the Royal Fusiliers, he was employed as a gamekeeper in Dumbartonshire. 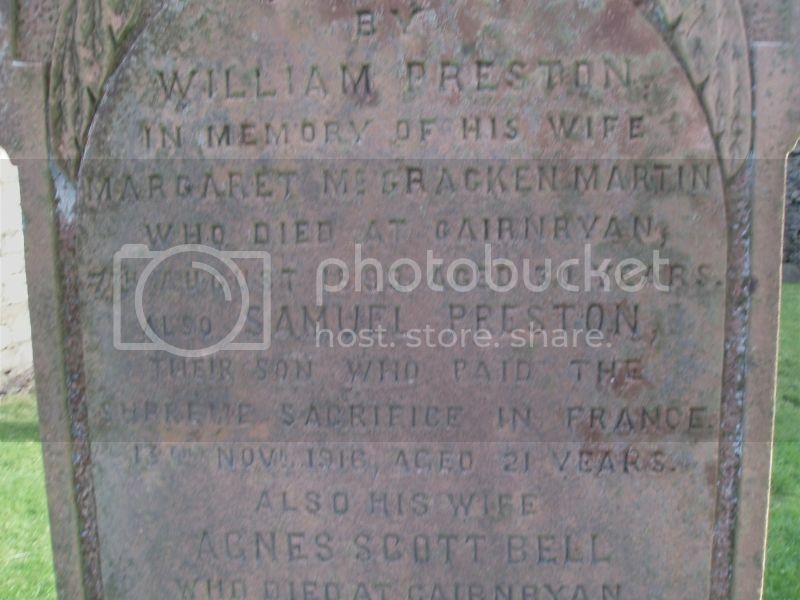 Much sympathy is extended to Mr & Mrs Preston and daughter by the people of Cairnryan, with whom Samuel was a great favourite. Any information concerning him will be gratefully received by his father.